92 years ago today, a legend was born. 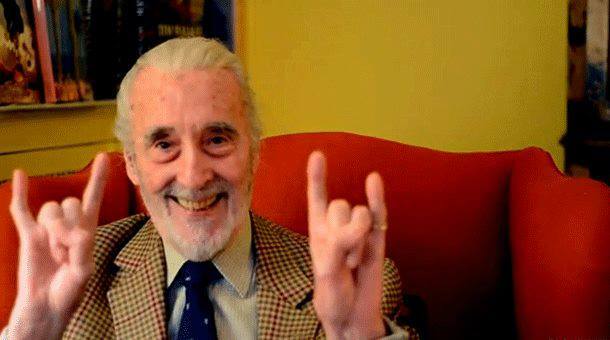 This is Sir Christopher Lee. ...or from one of literally hundreds of roles. Including but not limited to Francisco "The Man With the Golden Gun" Scaramanga. Which means the combined grosses of his films total more than any other actor in history. He is a direct descendent of Charlemagne, a.k.a. 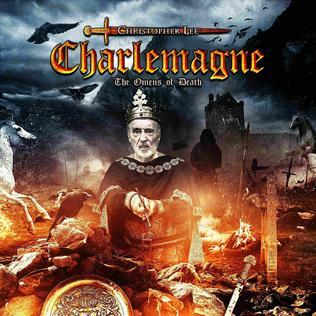 Charles the Great. During WWII, Lee was a member of Special Operations Executive - a.k.a. "Churchill's Secret Army"
Or, my personal favorite "The Ministry of Ungentlemanly Warfare"
Lee's step-cousin Ian Fleming, creator of James Bond, also worked with S.O.E. 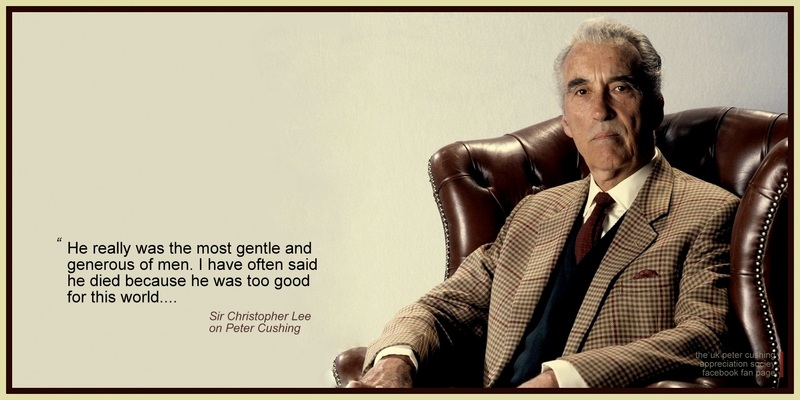 Fleming drew on his experiences in espionage during the war for his novels...which means that Christopher Lee is likely part of the inspiration for James Bond. His experience as a Nazi-exterminator even influenced his work with the LOTR crew. And speaking of The Lord of the Rings, Lee is the only member of the cast to have met Professor Tolkien. Like Tolkien, Lee is something of a linguist. He speaks English, French, Italian, Spanish and German. And according to his website, he can "get along" in Swedish, Russian, and Greek as well. 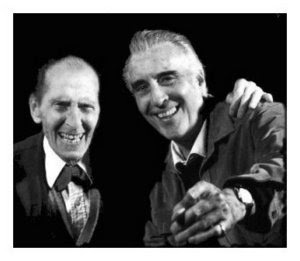 Before there was Sir Ian and Sir Patrick, there was Sir Christopher and Peter Cushing. Yup. 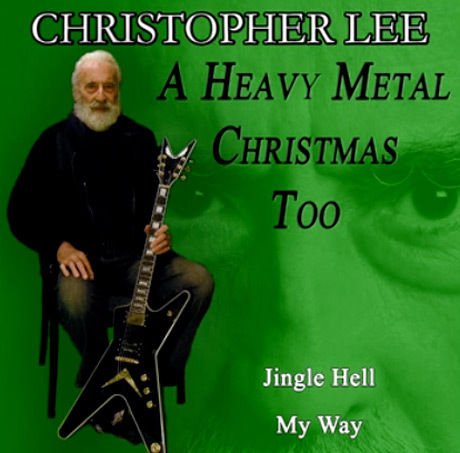 Sir Christopher Lee is a headbanger. 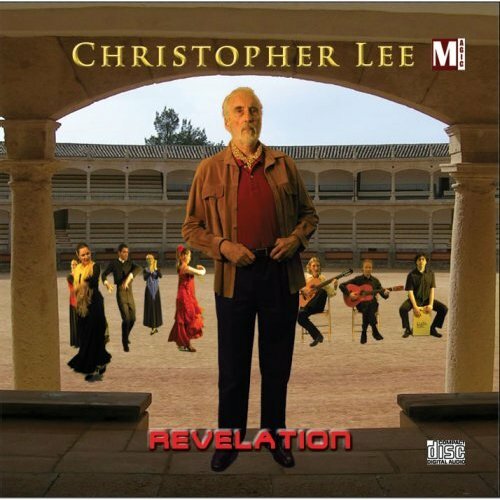 ...he's also recorded and released some symphonic metal of his own. Paying homage to his legendary lineage in the process. So join me in a toast! To the actor, musician, Nazi-hunter, metalhead, knight and gentleman. To 92 years of epic living.